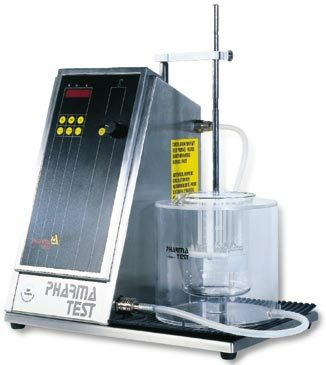 The most basic yet cost effective instrument in the Tablet Disintegration Tester range which is ideal for new or limited budget installations. The PTZS conforms to all pharmacopoeia norms. Quiet, vibration free operation is a trade mark of the whole instrument range. Stroke height is fixed at 55 mm and the number of strokes set at 30 / min. The maximum disintegration time can be pre-set and there is a digital display for the elapsed test time. The PTZS is suitable for USP and EP configurations. The water circulation system is fully protected from overheating.